WILL THEY STILL NEED US? Will Artificial Intelligence (AI) take over the Doctor’s role? 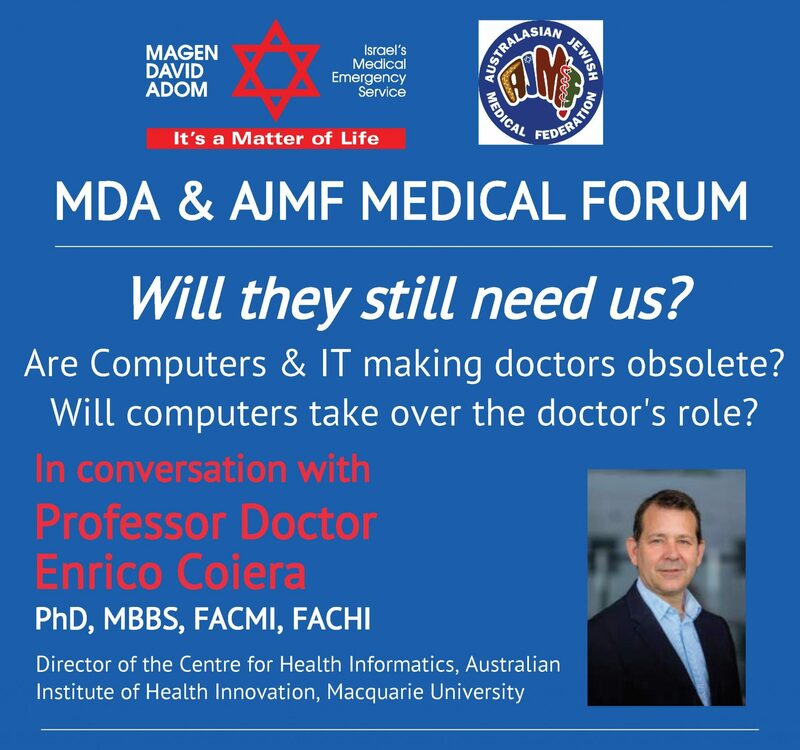 Thank you to all those attended the MDA & AJMF Medical Forum last week with Special Guest Speaker Enrico Coiera. A packed house enjoyed a thoroughly thought provoking, stimulating and sometimes, controversial evening. Stay tuned for Part 2 in our Medical Forum series.